The idea of a unconditional basic income is gaining a lot of traction lately, which means more and more people are getting exposed to this idea. However one of the main counterargument still remains, that people will just become lazy bums. Yet my position is that I firmly believe that each and everyone has a passion and given a basic income they will indeed shift their work focus from their normal job to whatever they're passionate about. I think this sounds fairly reasonable, but we don't really know how will this affect society as a whole. Nevertheless I will try to assess the effect on science, a part of society. In Switzerland (there will be a vote on the basic income) a lot of research is funded by the Swiss National Science Foundation. So what will happen to all researcher and PhD candidates once there is a basic income? They will most likely just do what they did all the time: research. Why? Because they are very dedicated about their research. To become a researcher in Switzerland you spend at least 18 years of your life at school studying. You're not just going to stop researching. The more interesting question is whether the research output will increase. To answer this we need to look a bit into research funding. The SNF pays an annual salary of 47-50'000 CHF for doctoral candidates. With the basic income, these researchers would get 30'000 CHF (12*2'500) year. This means that the SNF only has to pay about 20'000 CHF/y per PhD candidate. In other words with the budget of today and the basic income they can fund twice as many researcher! Actually they will probably not hire that many new researchers because this is just the salary and there are other costs (lab, conferences, etc.) involved in funding a project. Of course this does not mean a doubling of research output, but there will be less pressure & less grant application writing for researchers therefore more time for research, generally a better working environment and more funding for commercial unattractive research proposals. Thus I think it's safe to say that with a basic income, research & science will advance greatly. There appears to be a positive publication bias among the scientific community. Even though negative results offer valuable insights as well. 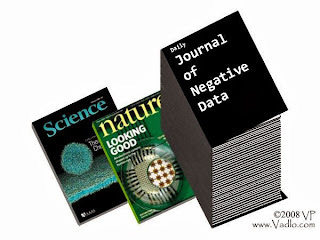 Luckily there are some journals specialized in publishing exactly these negative results. The Zeitgeist movement is promoting a resource based economy mainly through activism. This has worked out well in the early days, when it spread almost instantly around the globe. But now this growth has stalled. One reason could be that it has reached some sort of saturation point in the market of activists. This implies that the movement, despite its dedication, is not winning the public over at all. It sounds absurd, but according to a study, this is exactly happening. According to this article: The Paradox of Activism,which summarizes the study, activists alienate the people whose support they hope to win, due to negative stereotype associated with the activists. In other words, until activists can change their stereotype, activism may do more harm than good. So how can we change that stereotype? By showing that activists don't act as the stereotype requires. One way would be to build up an alternative society not just talk about building it, no matter how tremendous this task is. The day an united group starts building a new society, it no longer preaches, but lives what it's preaching.